She and Kaitlyn Bristowe were both leads on The Bachelorette for a hot minute, before Kaitlyn won more votes from the men in the first episode and Britt went on her merry way. Well she got married over the weekend. Honestly, we don’t care for the “co-bachelorettes” thing. Kaitlyn Bristowe ended up getting her happily ever after with Shawn Booth, as those two are still together. 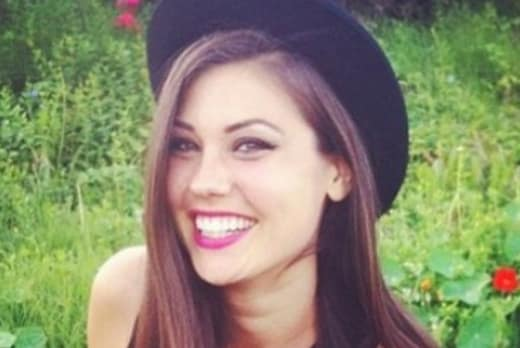 Of course, Britt Nilsson ended up finding love — with Brady Toops, who is known for his great sense of humor. Britt Nilsson and Brady Toops broke up, because … that happens in a lot of relationships, basically. But Britt moved on, and on Saturday, September 9th of 2017, she and Jeremy Byrne got married. 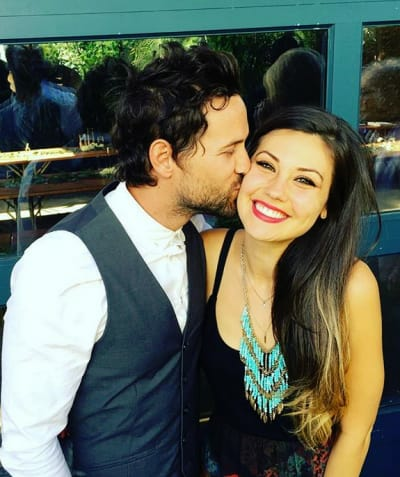 Britt Nilsson and Jeremy Byrne got married in a ceremony in front of 160 guests at Green Oak Ranch in Vista, California. And Britt Nilsson spoke to Us Weekly about some details, about the wedding itself and about what she’s looking forward to. And her nickname for Jeremy, “Jer,” is cute. It doesn’t work with every guy named “Jeremy,” but there’s a weird imbalance in couples where one person has only one syllable in their first name and the other has three. “Britt and Jer” rolls off of the tongue a bit better, don’t you agree? They played a song called “Koln” by a band named Brolin. Britt describes Jeremy as her “best friend,” and talks about how much she looks forward to loving domesticity with him. The 30-year-old also answers the question about when she might have kids. If you’re wondering if Kaitlyn Bristowe or some of Britt’s other fellow The Bachelor alums could make it … they could not. Britt and Jeremy announced their engagement in May and announced the wedding date by July at the latest … but whatever. This all sounds so sweet. The only downside to this wedding, really, is that the guests all sipped on mocktails because no alcohol is permitted on the ranch. But we guess that it speaks to Britt and Jeremy’s likability that they were able to find 160 friends and loved ones willing to endure a sober wedding because they wanted to be there for the couple and honor their union. Jeremy Vuolo FINALLY Proposes to Jinger Duggar on Counting On! Previous story Kylie Jenner and Travis Scott: Are They Over? !